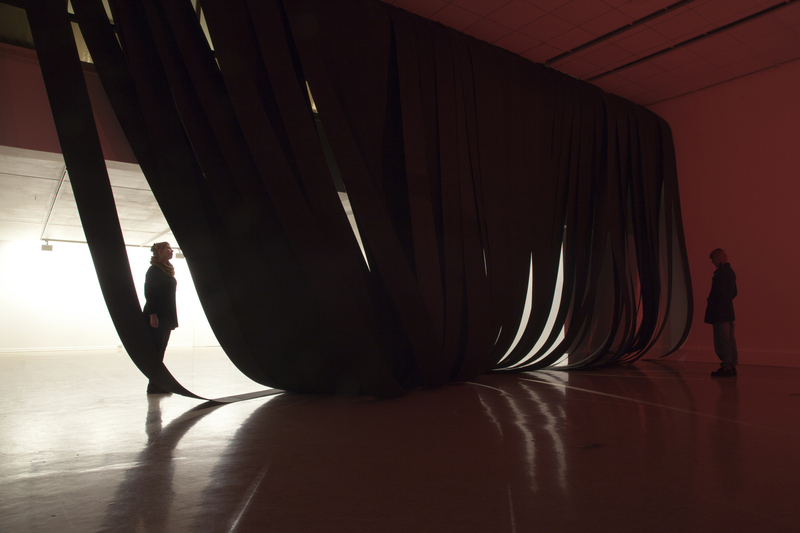 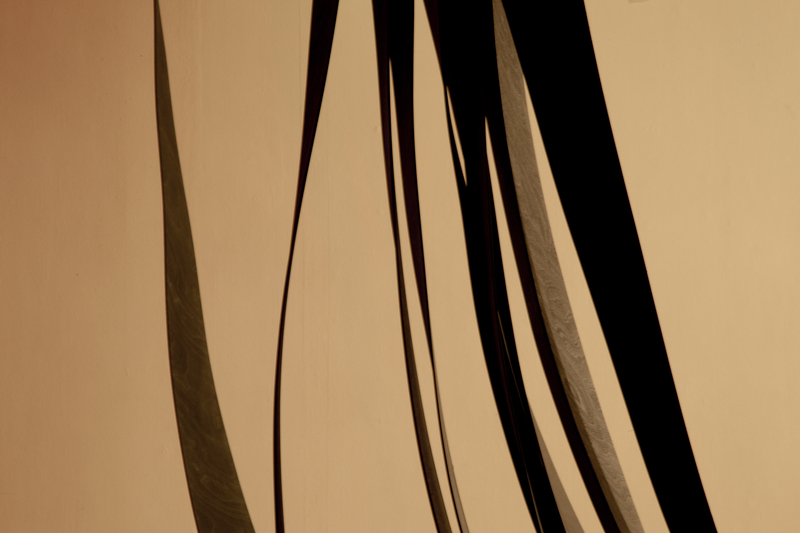 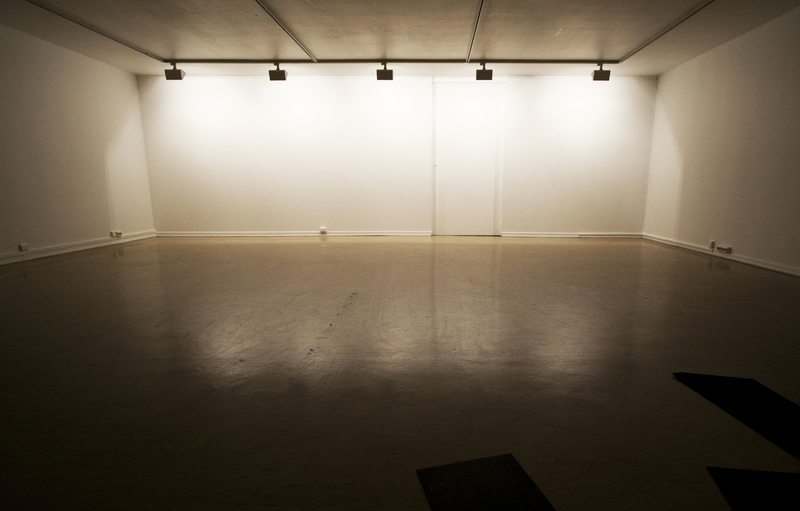 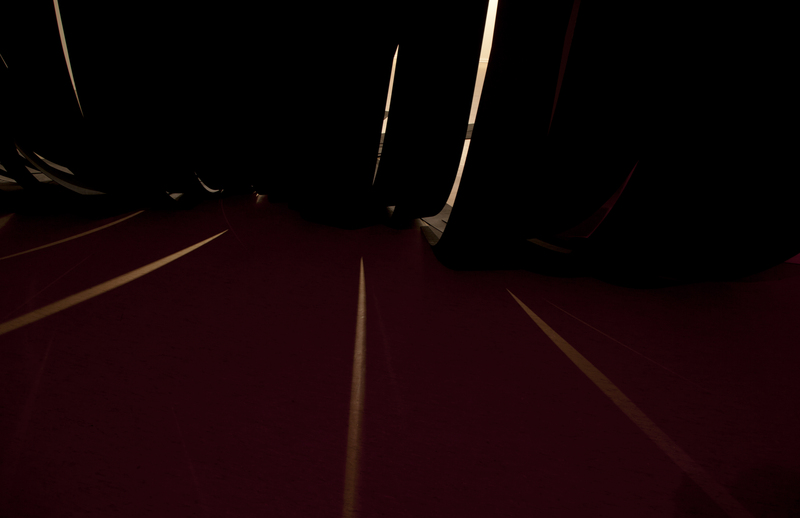 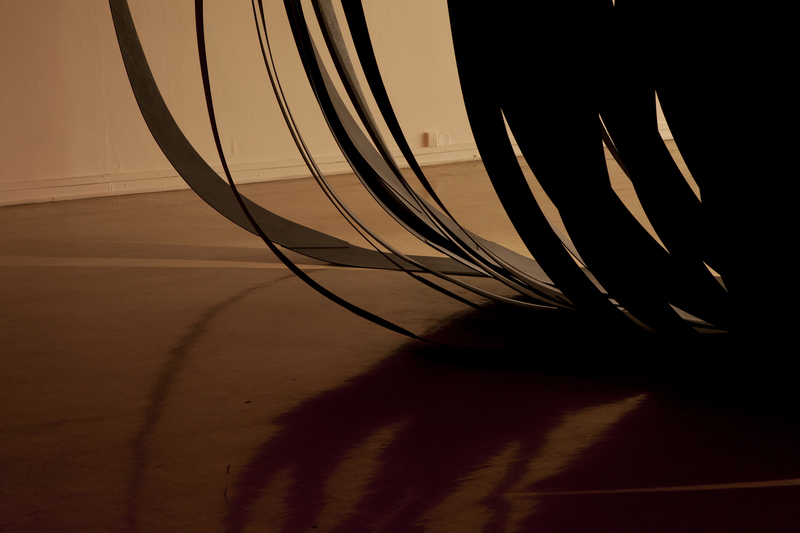 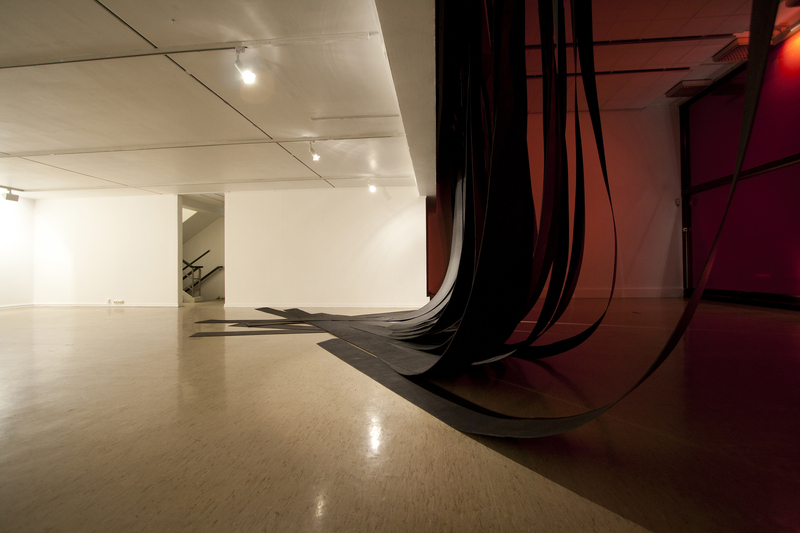 The installation Unforgettable Vision of Darkness, is allowing the gallery space TSSK to be staged as a total artwork. 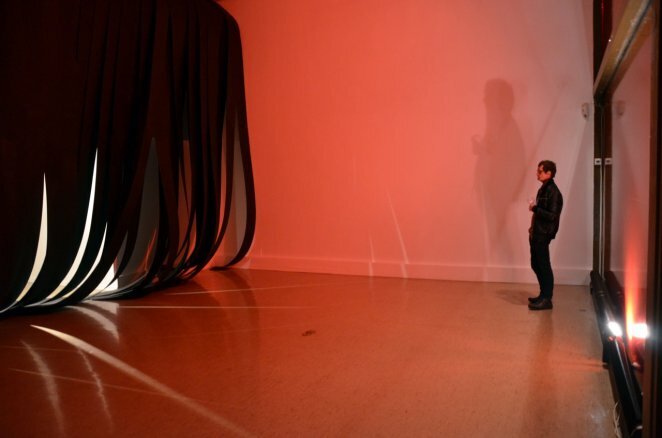 The large windows in the gallery are covered with a vinyl that alters the facade of the gallery outdoors, appearing in this piece as a large silver coloured mirror. 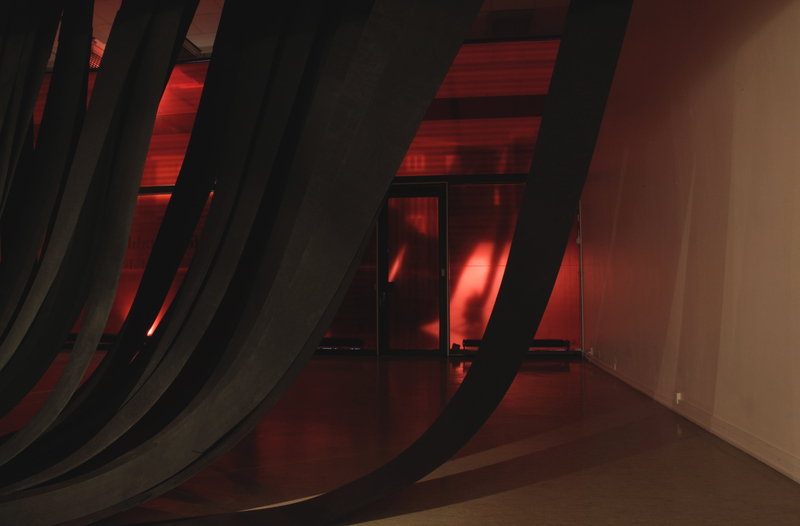 Indoors, the vinyl turns the window surface into a red glossy surface, allowing the red colour to bleed away from itself, casting a red glow onto its surroundings. 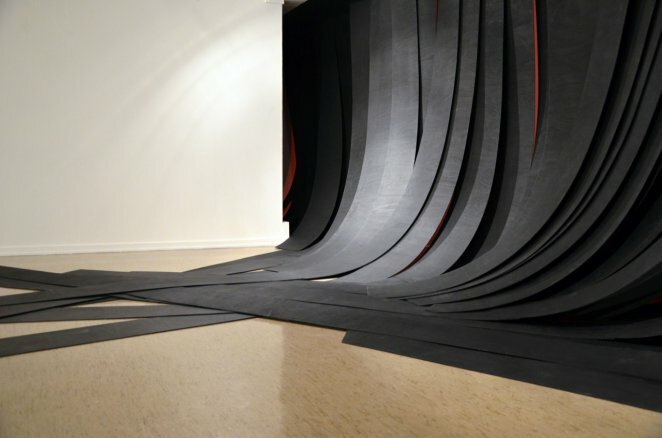 The vinyl obstructs the visual link between outside and inside, creating a closed situation for the viewer to enter into. 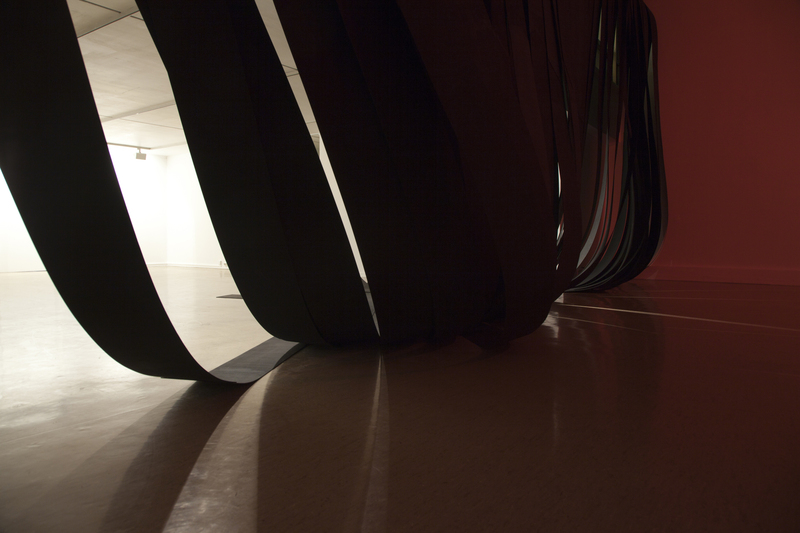 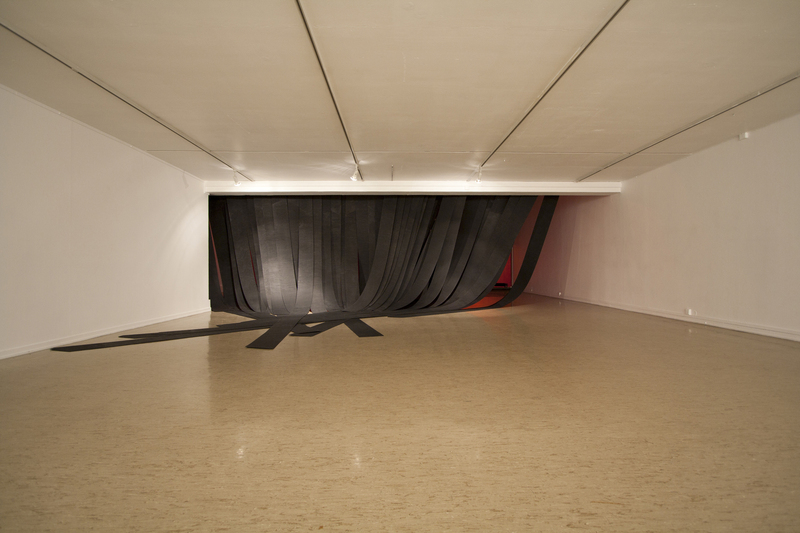 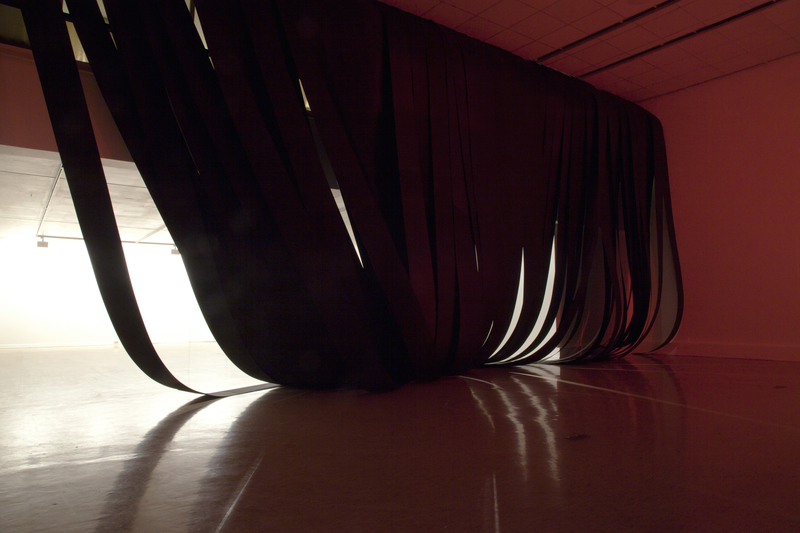 The space has been cut in two by an architectural, yet sculptural construction made by separated black wooden ribbons dropping from ceiling to floor. 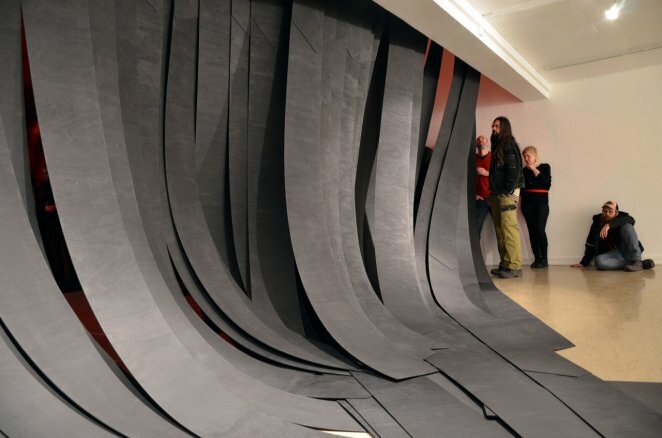 In the space it offered an almost rubber-like quality, curving its way from the ceiling, touching the floor and heading towards the back of the space.